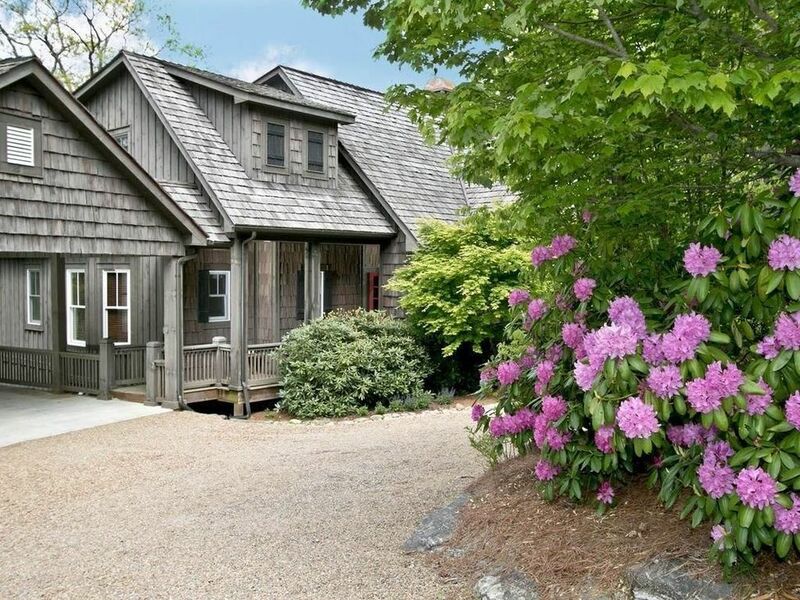 This Highlands NC home for sale is located at 1541 Highgate Road. This charming home offers 3 bedrooms and 3 bathrooms on a lot that is just under an acre in size. A huge highlight of the property is that it is adjacent to National Forest Service land. This adds to both the beauty and the privacy. Whether you are just starting your Highlands NC property tour or have been searching for a while this home should be on your list! 1541 is close to the Highlands Country Club and just a few miles to Main Street. This Highgate home boasts fabulous mountain views along with its exceptional private and serene setting. The home has been expertly crafted and showcases a number of custom features to set it apart. From the oversized custom front door that greets you to the antique beams visible upon your entrance, this stunning home is inviting and appealing. The floor to ceiling wood burning stone fireplace is the focal point of the living room. The large covered deck has a gas log fireplace, ideal for relaxing or entertaining. This Highlands home for sale is ideal for families or friends. The master suite is complete with a spacious bath. The other two bedrooms are guest suites located upstairs. Living here places you in a wonderful mountain setting yet close to all of the Downtown amenities. Schedule your private tour of 1541 Highgate Road today. 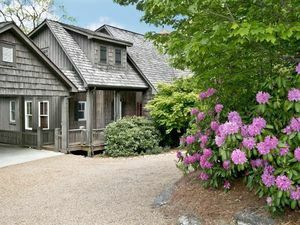 Contact our team at Berkshire Hathaway HomeServices Meadows Mountain Realty to view this home or any other Highlands NC homes listed for sale. We welcome the opportunity to help you complete a successful property search. Let our knowledge and experience serve as your guide to the area, helping you locate the ideal Highlands home for sale for you and your family.